A pioneer in importing original Scandinavian Modern Design furniture, lighting, homeware and antiques to Hong Kong, Manks is focused in offering the latest Scandinavian Modern Design products since 1996, for both the residential and the commercial sectors. This year, The Spanish Chair celebrates 60th anniversary. An iconic modern design masterpiece by Danish designer, Borge Mogensen from 1958 and, manufactured by Fredericia with uncompromising craftsmanship and materials throughout the years. 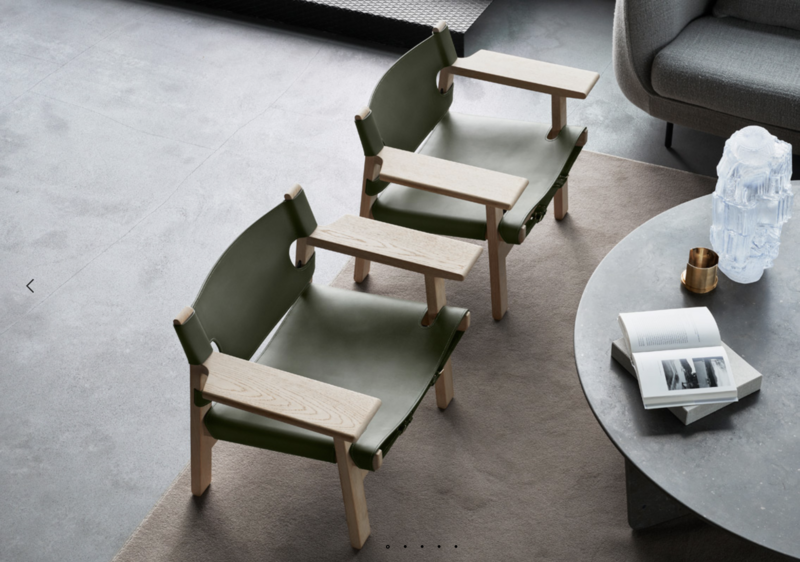 To commemorate the 60th anniversary of the Spanish Chair, Fredericia launches a special edition in solid oak combined with an elegant olive green saddle leather seat. The olive green colour leather was chosen to honour this iconic Borge Mogensen design as it is his most loved hue and a hip interior colour during the fifties. In additional to the olive green saddle leather seat with brass buckles and the soap treated oak frame, a brass plate is inserted onto each limited edition Spanish Chair, with name of the chair, the designer, the manufacturer and Made in Denmark in 2018 engraved. The Spanish Chair 60th years special edition is available from 19 September 2018, the exact day when the chair was originally launched in 1958. Limited quantity is available at Manks until 31 December 2018. Since the 1950s, Borge Mogensen worked in close co-operation with Fredericia. Plenty of classic designs were designed by Borge Mogensen for Fredericia, namely, No. 1 sofa, 2213 sofa series, 2207 lounge series, the Spanish Chair and the Hunting Chair, which are still popular and must-have items today. 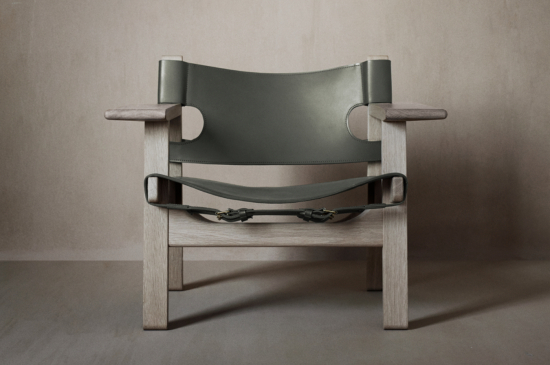 Since its foundation in 1911, the family-owned company Fredericia has built up a strong tradition of beautiful craftsmanship and innovative design, developed in close collaboration with a circle of internationally recognized designers, such as Borge Mogensen, Hans Wegner, Jasper Morrison and Space Copenhagen, etc. All furniture from Fredericia is 100% made in Denmark. As the exclusive distributor of Fredericia furniture in Hong Kong, Manks offers the full range of designer’s masterpiece from Fredericia. 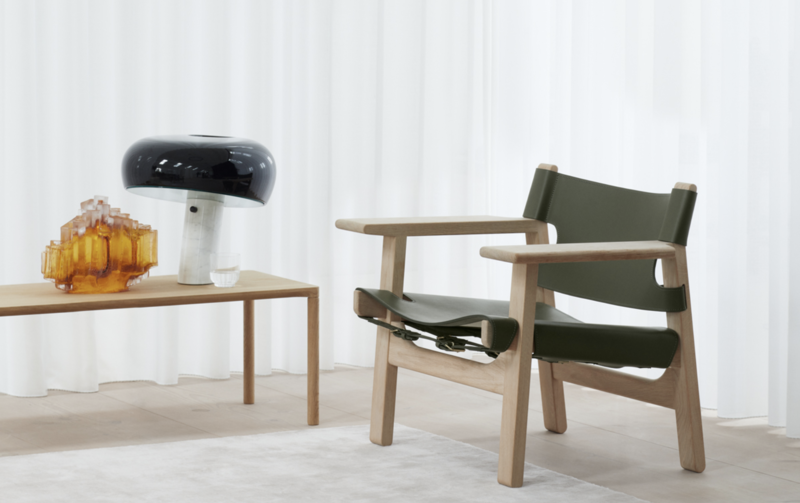 Newly launched Swoon lounge chair, Din chair, Piloti and Pon coffee tables and classics such as the Borge Mogensen 2213 & 2207 series are on display in Manks’s 6,000 sq.ft. master showroom.